Hear ye, hear ye! Singapore has its first female president! Ireland had its first female president back in 1990 but, you know, some countries have to start somewhere. 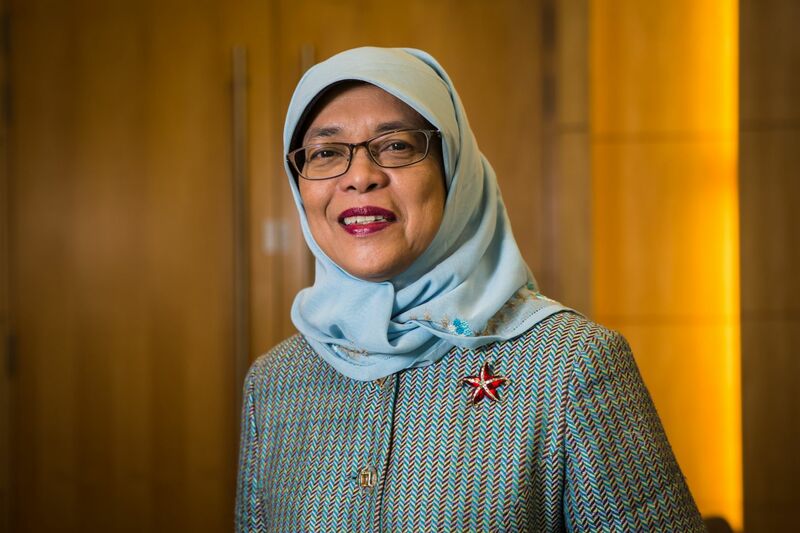 But all is not sweetness and roses in Singapore with Mdm Halimah Yacob’s appointment. You see, some Singaporeans feel slighted that Mdm Yacob has walked into the position due to some untimely government….restructuring of nominee procedures. Yes, that’s it. In September 2016, the government mandated that this year’s president should be of Malay origin. A “reserved election”. The last Malay president was in 1970. The government stipulated if a race has not been president for five terms or 30 years then the “reserved election” for that certain race would be held. A qualifying candidate from the private sector should be a senior executive managing a company with at least S$500 million in shareholders’ equity. Previously, such a candidate had to be a chairman or CEO of a company with at least S$100 million in paid-up capital. These two rulings were seen to be handcuffing or directing the presidential hopefuls into a certain race and/or having a certain professional financial prowess. So, Mdm Yacob being Malay and a public servant (MP and Speaker of the House) didn’t have any limitations whatsoever to her running. The two public sector Malays who wanted to run fell short when it came to the equity in their private professional career. Thus, Mdm Yacob was elected unopposed and un-voted for by the public. Some saw this whole process as racial profiling. Taxi drivers tut-tutted; the universal taxi language of quiet disagreement. Some questioned the fact that the Prime Minister had been of Chinese origin since Singapore’s independence, and questioned when other ethnicities would have a chance at PM. So the presidential “election” process was seen as discrimination…but a positive discrimination in a sense! People arguing that no matter what race you are you should get a place in office regardless of ethnic background. The backlash has not been about Mdm. Yacob who is actually seen as quite a likeable and well respected person for the job. Merely, the machinations that put her in that position. In February this year, Chan Chun Sing, potential next prime minister, stood up in parliament and called Halimah Yacob “Madam President” (video at the bottom). Was it a slip? Maybe. But he did it not once but twice, laughing along with his fellow PAP politicians, having a ball of a time, delighting themselves in their own megalomaniac conceit. We should think about this carefully and clearly. It is no laughing matter. A full seven months before the election, Halimah’s colleagues were already calling it in her favour. They made a blatant mockery of our democratic process. No amount of contrived reasoning put forward , ranging from the absolute necessity of the scheme to Ensure multiculturism, to preventing terrorism ( the most absurd reason I have ever heard ) or the uprightness of the PAP in sacrificing political capital to maintain social harmony ( another baloney ) will ever convince Singaporeans of the righteousness of an evil scheme that has laid to waste 52 years of nation building. Everyone knew that this evil scheme was concocted by the Establishment to deprive Dr Tan Cheng Bock of the Presidency . So desperate were they to hold on to this lever of power that they were willing to sacrifice political capital to achieve it . So, it’s been nearly two months now since Mdm. Halimah has been sworn in. She has moved from her “normal” living in a HDB flat due to increased security concerns (not at all down to her neighbour’s lives being thrown upside down by all the extra commotion!) to the Istana or another landed property, both of which have a few more square feet I’m guessing. The drama has died down somewhat but even the Straits Times are still opining about race and national identity in the aftermath of it all. As an expat living here, I wish her all the best in holding the office as President of Singapore. As an expat I also can’t begin to analyse or suggest understanding of the underlying racial and national identity undercurrents that bubble up in Singapore from time to time. It’s there. It’s something that is deemed to be readily and openly discussed and debated upon but there’s an element of reticence and reluctance. The memories of the race riots of 1964 still remain vivid in people’s minds and after a smaller incident in Little India in 2013 the stricter weekend ban on drinking alcohol in areas such as Little India and Geylang soon followed suit with an overall ban on public drinking from 10:30 to 7am islandwide. Fears quashed. In my own aloof and simperish ex-pat ways, I experienced a certain reverse (at least from my own standpoint) racial profiling recently when looking to rent an apartment and inquiring after my nationality was one of the first demands from the landlord’s agent over SMS. I got the vibe that some nationalities wouldn’t be equally as accepted as other nationalities. Next PostNext It never rains but it ‘pores..